1. 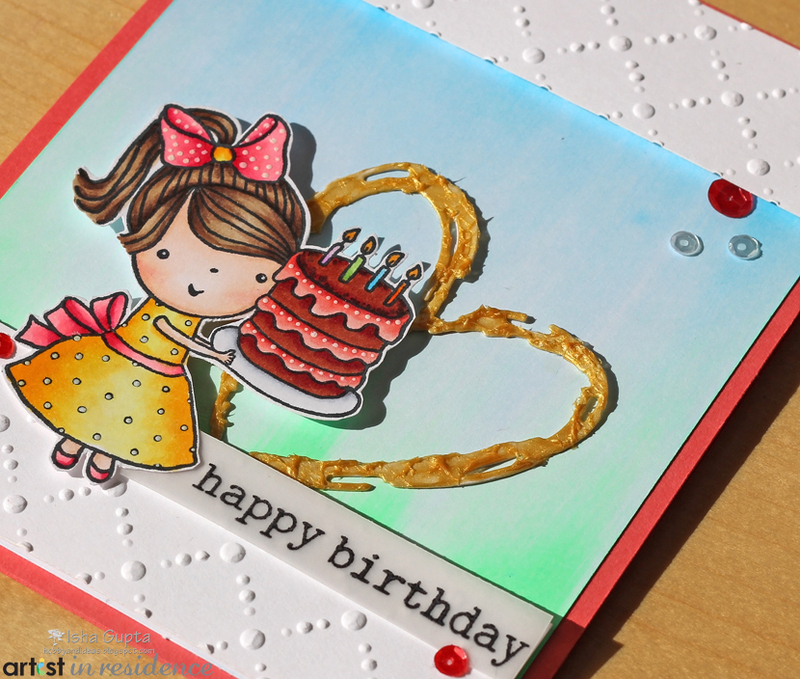 Cut/score card base to a finished size of 4¼˝ x 5½˝ from Candy Heart cardstock. 2. Cut a white mat layer. 3. 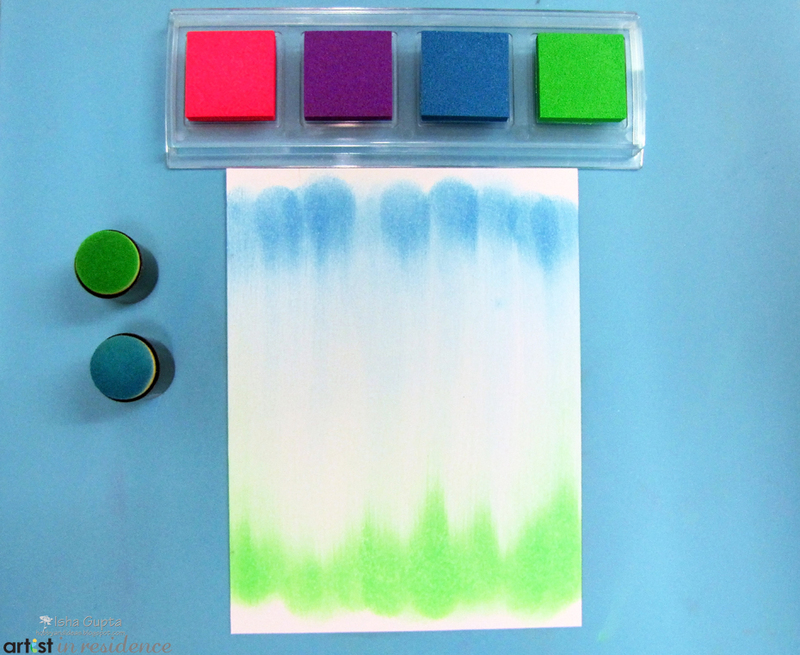 Use sponge dauber and instead of a usual circular sponging motion, just swipe the inks across. This gives a nice subtle interest to the background. 4. 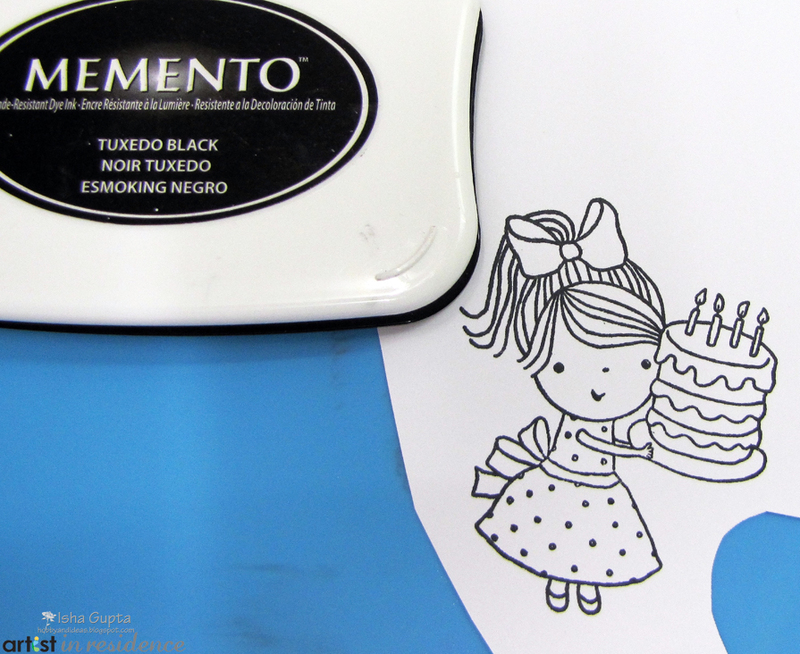 Stamp the image using Memento Tuxedo Black as I am going to color using Copic markers. 5. Once the image is colored, I applied tiny dots using Wedding Dress inker and the pointed Doodlestix. 6. 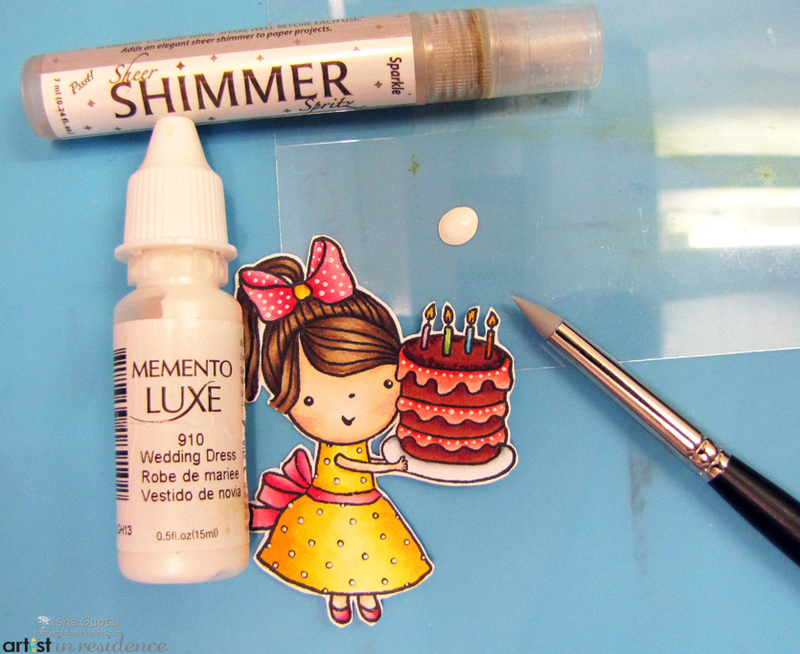 Then, I applied some Shimmer Spritz Sparkle to the cake, candles and hair bow. 7. 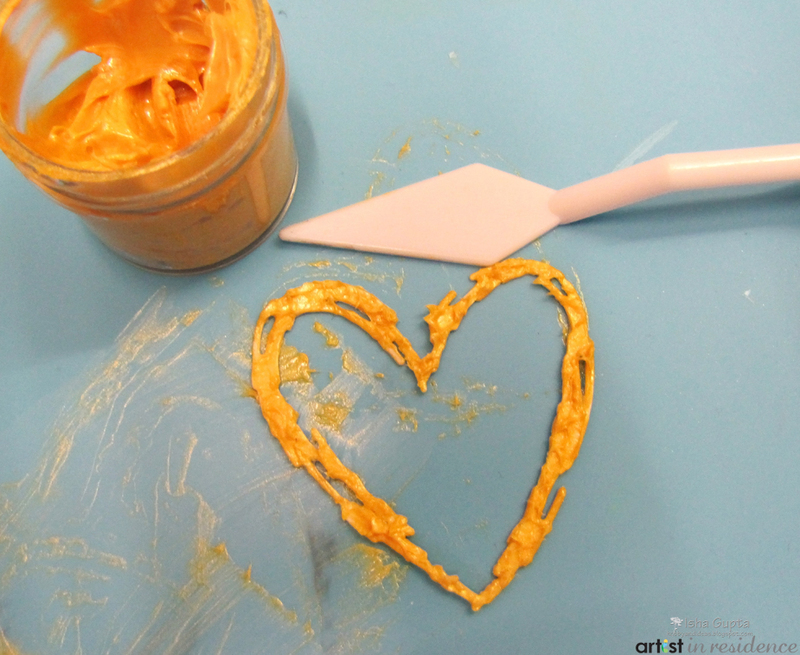 Die-cut a heart shape to your liking, apply some gold Creative Medium using a palette knife. You will want to apply your Creative Medium in a tapping motion to give it a nice texture. 8. Finally, I cut 2 strips of white cardstock, dry emboss it using an embossing folder and assembled my card as per the main photo.